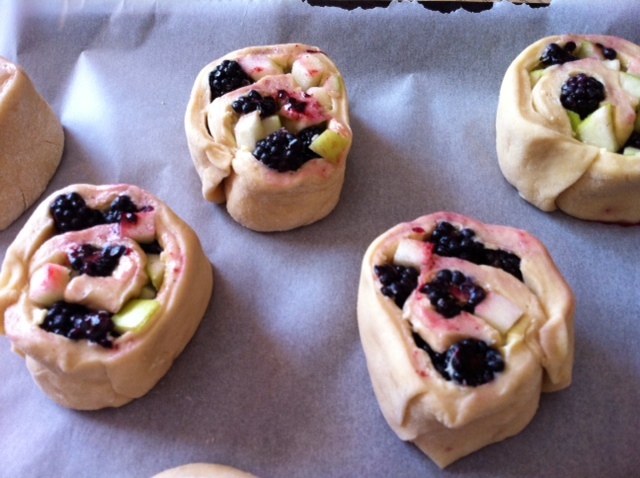 Blackberry and apple bun swirls. As a teacher I love the summer, the holidays, the absence of stress, the lie ins, but as a cook I adore autumn. Many of my favourite flavours become fleetingly available. Varieties of pumpkin and squash, like Turks Turban, kabocha and patty pans arrive, apples dazzle in the Indian summer, mushrooms emerge on misty mornings and blackberries finally ripen. Collecting food for free and foraging is something I’ve done all my life. Despite living in London, my dad took us out to collect mushrooms, much to Mums terror, we went crabbing, mussel picking and mackerel fishing on holidays to the seaside and I can’t recall a time when I haven’t blackberried. 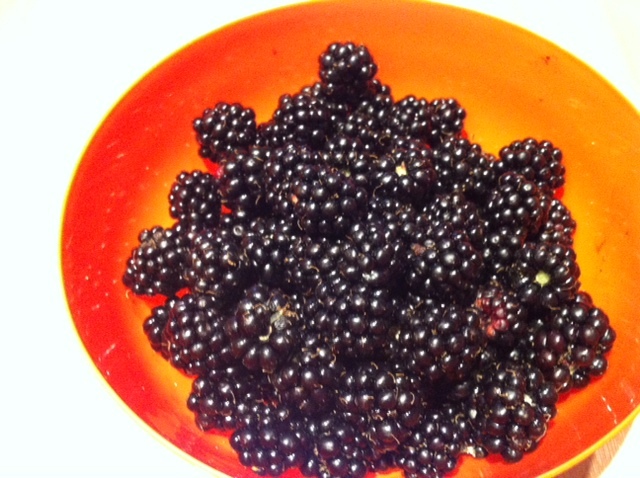 Whilst I love a crumble, and adore a swig of home made blackberry gin, I have decided to add to my repertoire this year. Yesterday I picked my first little batch of berries. How to make a little go a long way? 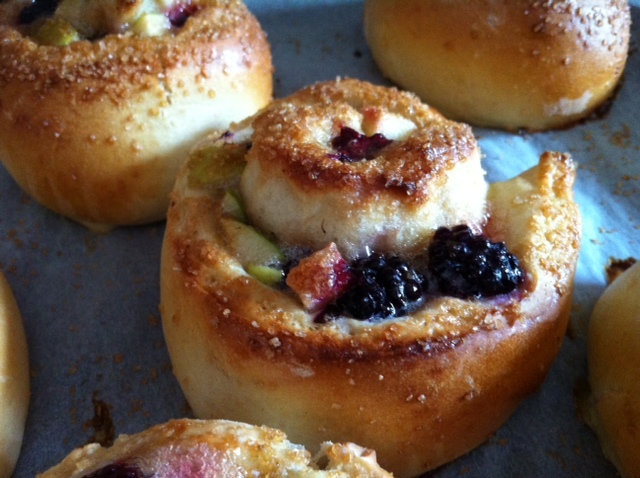 I decided to use them as a filling for some sweet swirls, along the lines of a Chelsea bun. Sieve the flour into a bowl. Warm the milk with the butter and sugar. Remove from the heat. Stir in the yeast and leave to activate. Once frothing pour into the flour along with the egg and combine. Tip onto a lightly floured surface and kneed for 10 minutes, this is a sticky dough so you may need a little more flour but don’t use too much. Leave covered with a cloth or cling film in a greased bowl for an hour and a half until doubled in size. Once risen, tip out onto a floured surface, and push or roll out into a rectangular shape about 12″ by 8″. 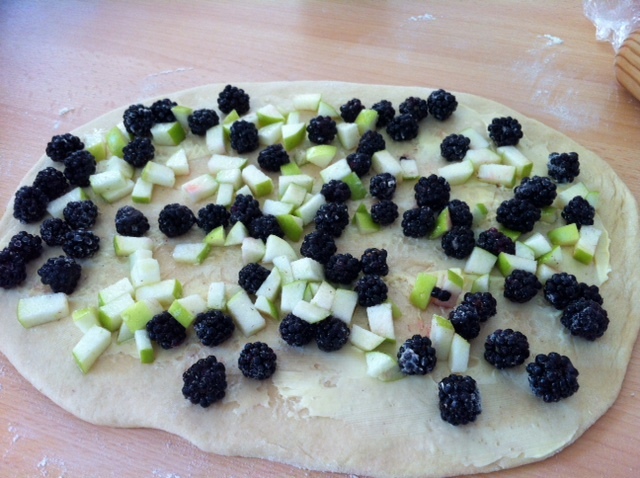 Generously spread the softened butter over the dough, scatter over the soft brown sugar, apple pieces and blackberries. Roll up along the long side, cut into eight equal pieces and place on parchment on a baling tray and leave for a further 30 minutes to rise. Brush with beaten egg, scatter with demerara sugar and bake for 20 to 25 minutes until risen and golden. leave for a few minutes to cool as the interior is volcanic! ← Pumpkin pasties – a Hogwarts school dinner recipe. 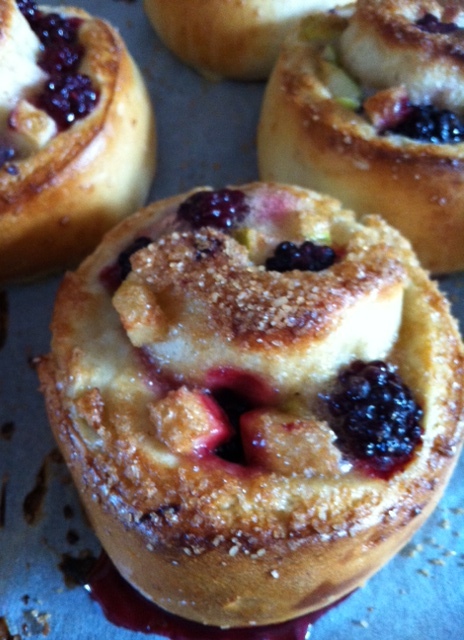 A great way to use blackberries, they look delicious. Thank you for joining us for The Great British Blackberry Recipe Round Up. They are just so Autumnal. Thank you for hosting.